Well, I only gained two pounds over the Thanksgiving break. Certainly could have been worse considering how much I ate and how much less I exercised! It was good to get a couple of days with family. 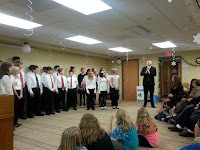 A Busy Time: The time from now until winter break goes by very quickly and is full of concerts, games, and meetings. 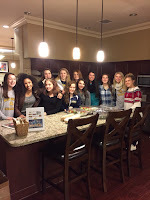 All positive things; but imagine hosting groups of people at your house ranging from about a dozen to over a thousand people every night for twenty days straight! I get anxious that every night an event will be special, that our facilities will show well, and that everyone will want to come back next time. It will all work out thanks to talented students, caring advisors, teachers, coaches, and dedicated custodians. I am allowed to worry though; it's in my job description! 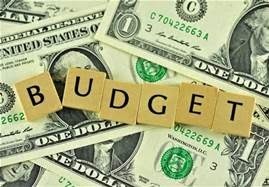 The Budget Process Starts: We are also in the beginning phases of budget development. It is far too early to speculate, but it appears that our "tax cap" (the maximum amount that school taxes can be raised without needing a supermajority of voters) will be much lower than usual. This might sound like a positive, and it can be. If we do not get additional state funding to make up for the decrease in the tax cap, there may be some difficult decisions to make. The state aid number we are looking for is called the "Gap Elimination Adjustment" or GEA for short. Most school superintendents, school boards, and elected officials are hoping and lobbying for a full restoration of the GEA. 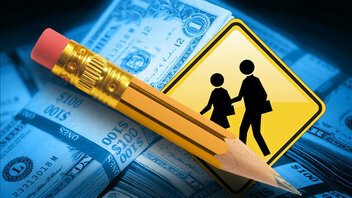 This amount would allow schools to keep tax levies down WITHOUT having to make major reductions in what is offered. I expect to have more information about the GEA and state aid by late January. 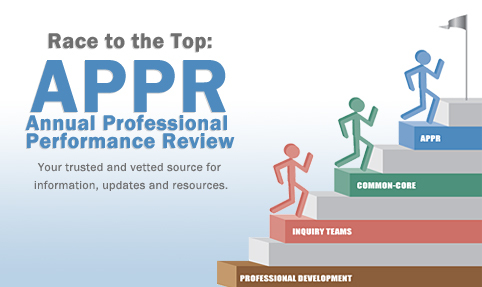 Changes are Coming in State Education: In state education news there appears to be some movement in the Annual Professional Performance Review (APPR) process used to evaluate teachers and principals. At the beginning of the school year all schools were directed to have updated APPR plans on file or risk their state aid increases. West Genesee had their plan approved quickly while many schools filed for waivers, prolonging their approval processes. Governor Cuomo has recently hinted at removing, at some level, the tie between student test scores and the APPR process. I expect more information about this soon. At the same time both the Governor and the Commissioner of Education have separate panels assembled to evaluate the Common Core Learning Standards (the Commissioner is a member of the Governor's panel also). What will come of each panel is somewhat unknown, but it is safe to say that there will be a reduction in the amount of testing related to the Common Core Learning Standards. That, coupled with the potential of assessment results not being tied to teacher APPR scores, may be a sign that people in positions of power are actually listening to people like us who are on the ground. Wishful thinking...but it is the holiday season! 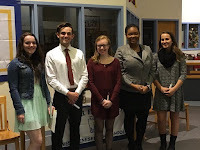 Dedicated Board of Education and the National Honor Society: Lastly, I want to thank our Board of Education and especially Board member Vladimiro Hart-Zavoli. 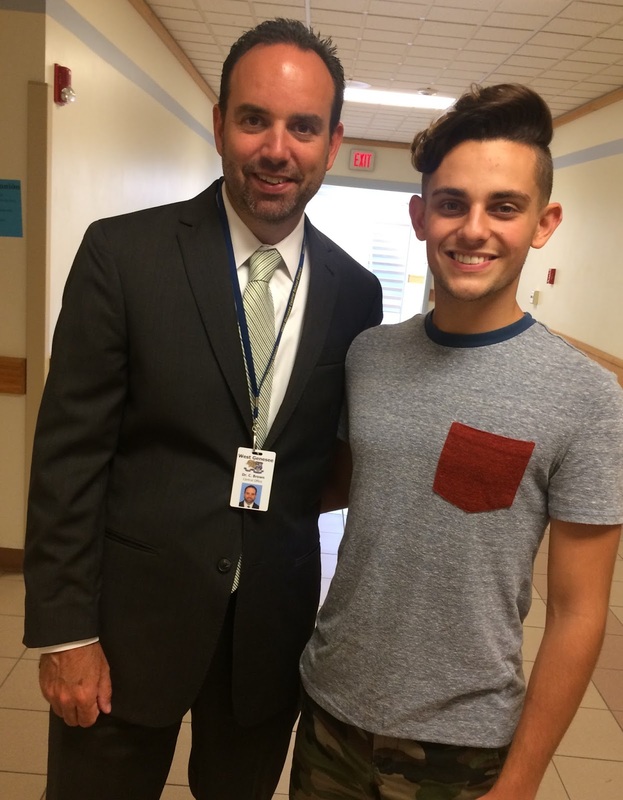 Mr. Hart-Zavoli is legally blind but has never let that stop him from supporting and helping students. The most recent example took place right before break. We were holding our mid-year National Honor Society ceremony. I was watching a basketball practice on one side of the building and as I headed back to the library I heard a custodian helping Vladimiro find the main hallway that would lead to the library. I hooked up with him and led him to our destination. When the ceremony ended I asked him who was picking him up and where, so I could help him get to the correct door. 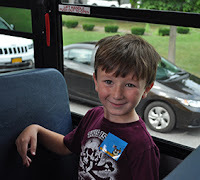 He indicated that he did not need me to worry because he was going to catch the bus back to his house. It was cold and rainy and he did not have a ride, but he also did not want to miss a student event so he was willing to wait for the bus in the cold and rain. COMPLETE dedication to our students. Needless to say, he got a ride home! Finding the Positive: Let's face it, finding the positive in things has been a struggle lately; but we must, we owe it to our children. We cannot let every negative thing that we read, hear, or see make its way to our kids, who are having a tough enough time just being kids. I would ask that if you come across something that is negative, assess how much of it needs to make it to the dinner table. If it needs to (and that is certainly your judgment as parents), is there a positive that can be taken from the situation? If it is a problem that needs a solution, what are their suggestions? At school we focus on helping those in need. Students regularly help classmates who are sick or struggling. They help with larger projects to help those in our greater community and around the world. 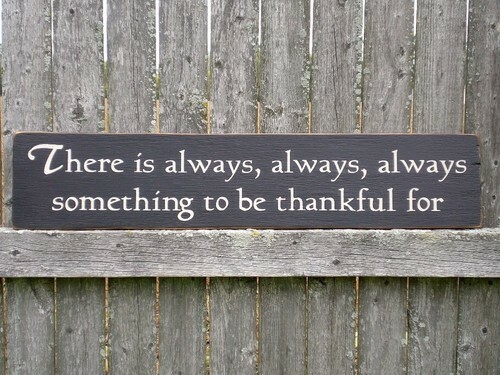 They are familiar with finding the positive, and we need to remember this as we head into Thanksgiving week. As you know, our community has changed over the past ten years. In 2006 six percent of our families lived below the poverty line. Today we are at twenty-four percent and rising. If you can lend a smile, a handshake, a kind word or more to people in need, please take the time to do so. It feels good! 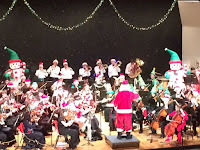 The Elves at WGMS Receive a Special Message: Congratulations to West Genesee Middle School students who performed Harry Connick Jr's production of The Happy Elf. 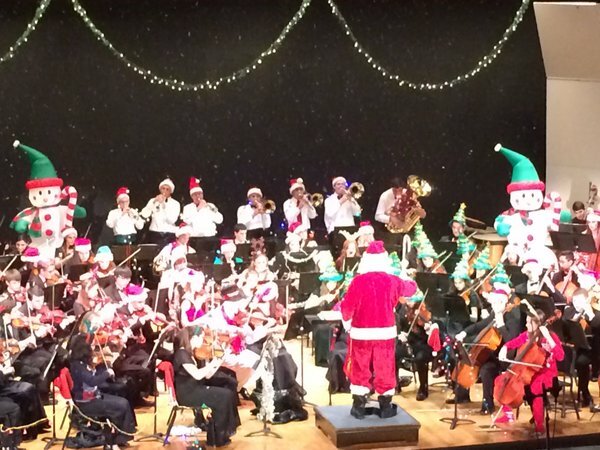 Under the direction of Christy Knowlton, the students put on a great show. 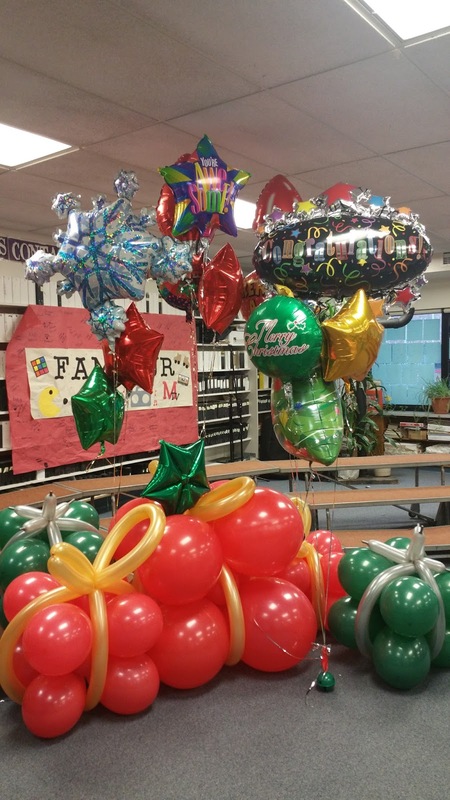 Equally cool was that Mr. Connick Jr sent a personal message and balloons to the cast! Elementary Parent Teacher Conferences: Please remember that we have half days today and tomorrow for elementary students with dismissal at 11:30 a.m. to accommodate Parent Teacher Conferences. Thank you for your continued support and I sincerely wish all of you a Happy Thanksgiving. What is Terror? : It depends. For me there are levels of terror. Last week I went to calling hours for a twenty-four year old, five month pregnant woman. Open casket; the whole nine yards. Great kid, supporting family. Bad choice. Heroin overdose. Listening to stories from recovering addicts in the funeral home there were common themes. 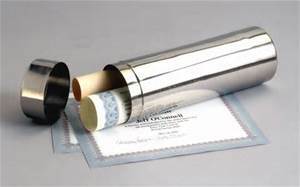 Former honor roll students, athletes, children of divorce, children overly pressured by parent(s) to perform, children with no other reason to use but to try the "next thing". That is terror to me as a parent and superintendent. That can happen to any one of us as parents. While we think "it can never happen to my family"; it happens. That is one level of terror. It is in our personal control and out of our control at the same time. 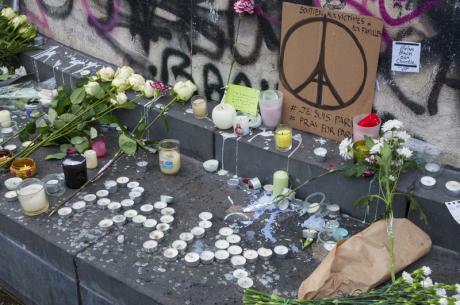 Recent Events in Paris: The second level is a little more complicated. It is terror that is largely out of our control as civilians but can take place where we find ourselves on a day to day basis. 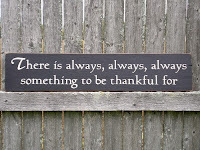 Schools, restaurants, sporting events, concerts, malls, churches, airplanes; places we go to and/or use every day. The recent events in Paris, France remind us that there are people for one reason or another who want us to live in constant fear. Our older students talk about these types of terror because it bothers them as much as it bothers us. A high school student can understand that people were at a concert in France when someone detonated a bomb and began shooting people. A high school student will recollect the last time they were at a concert or a restaurant and it "could have been them". A stretch? Probably. Remember, that in the life of a teenager it is "all about them". That is by human design and development. What should you do with your student? Talk to them; see if they have any questions. Reassure them that thousands of people are working around the clock to keep them safe and that they have every right to have emotions. Please let their counselor know if their feelings persist. My younger son has aspirations to be a teacher and maybe superintendent someday. I hope he will lead at a time where he will not have to write things like this. Building Bridges: In more positive news, Twitter was very active on Saturday as a large group of West Genesee students took part in the "Build em' and Bust em'" bridge building/engineering competition at the MOST. We are very appreciative that the MOST supports this friendly competition! Cross Country Runners Contribute to State Sectional Win: You are also living in the "fastest" section in New York State thanks in part to the individual efforts of cross country runners Carly Benson (4th place AA girls) and David Leff (11th place AA boys). We are in Section III and the athletes competed for individual New York State Cross-Country Championships this past weekend. David, Carly, and other runners from our section combined their finishing scores to solidify the intersectional scoring win and bragging rights for Section III runners everywhere. Congratulations! Busy and warm week ahead. Enjoy! A Week Full of Great Events! Visiting Camillus Seniors: I had a chance to speak to senior citizens in our community at the Camillus Senior Center. I get an opportunity to speak there once or twice a year and it is always very interesting. Just because people are senior citizens does not mean that they do not care about what is happening in the schools and in our community. I was asked some great questions about the Common Core Learning Standards, issues that our current young people are facing, and how our Capital Project is progressing. At the end I asked for a show of hands as to who might be interested in taking a bus ride from the senior center to our high school musical in the late winter and everyone raised their hands! 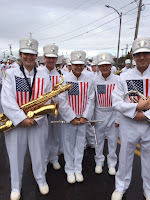 Marching Proudly for Our Veterans: Our Marching Band proudly participated in the Veteran's Day Parade held at the New York State Fairgrounds over the weekend. This is something that our students look forward to each year and while a little chilly, the weather held out for the event. The Hills Were Alive: Camillus Middle School students (with some cameo faculty appearances) performed The Sound of Music this past weekend. 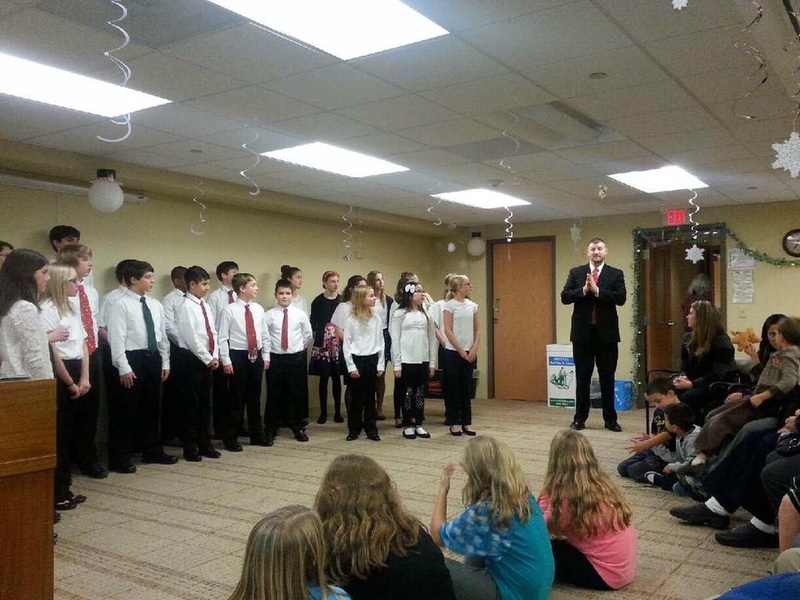 It was a terrific production and it is great to see so many students committed to something positive! 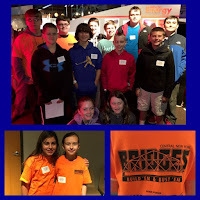 Thanking our Veterans: Speaking of positive, our West Genesee Middle School students invited local Veterans to their classrooms to talk about what it was like to serve our country, what it is like to be a Veteran, and to make lasting connections. The students wrote the veterans thank you cards, and I had a chance to read several of them. Our students DO understand what our veterans did for them, and I am very proud that they do! Listening Sessions About Common Core: Those looking to see how the Governor is handling the review of the Common Core Learning Standards can attend a listening forum this Tuesday, November 10 at Onondaga Community College at the Storer Auditorium from 7:00 -9:00 p.m. The event is first come first served, so if you are interested in attending contact them soon by clicking here. Thanking a Local Columnist: Lastly, I would like to give a big thank you to local columnist Sean Kirst. He will be leaving our local paper after more than two decades of quality writing about local interest stories. I love Syracuse, and I felt like he always featured stories about amazing people and events right here at home that just solidified why we live in such a special place. Best of luck to him! Thank you to all Veterans, your sacrifices do not go unnoticed. Last week was a blast. 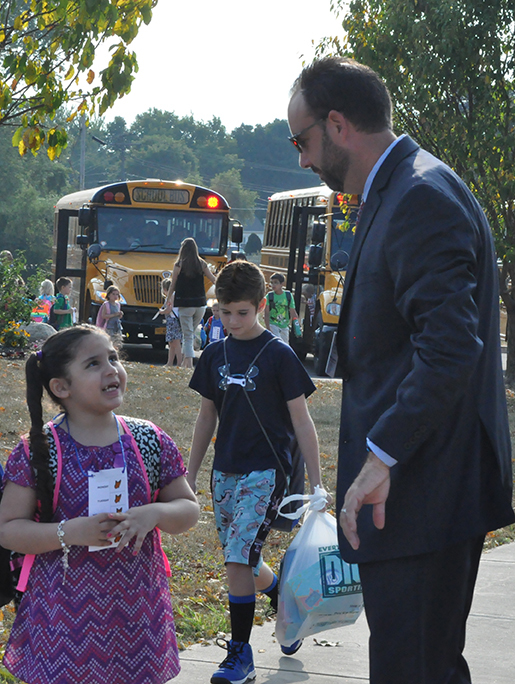 As we are into the heart of the school year, routines are set and students are settled in with a lot of learning taking place. Unfortunately, I also had to take a look at the plow trucks to be sure that they are ready for duty, but that is life in Syracuse, New York. 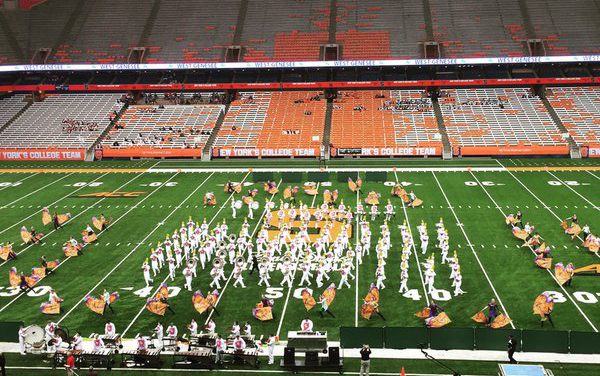 Marching Band Competes at State Championships: Last night our Marching Band represented the District very well at the New York State Field Band Competition as they always do, but they came up just short of their goal of winning a fifth Marching Band championship in five years. They were very respectful in congratulating the winner, as they know that nothing can be taken for granted. 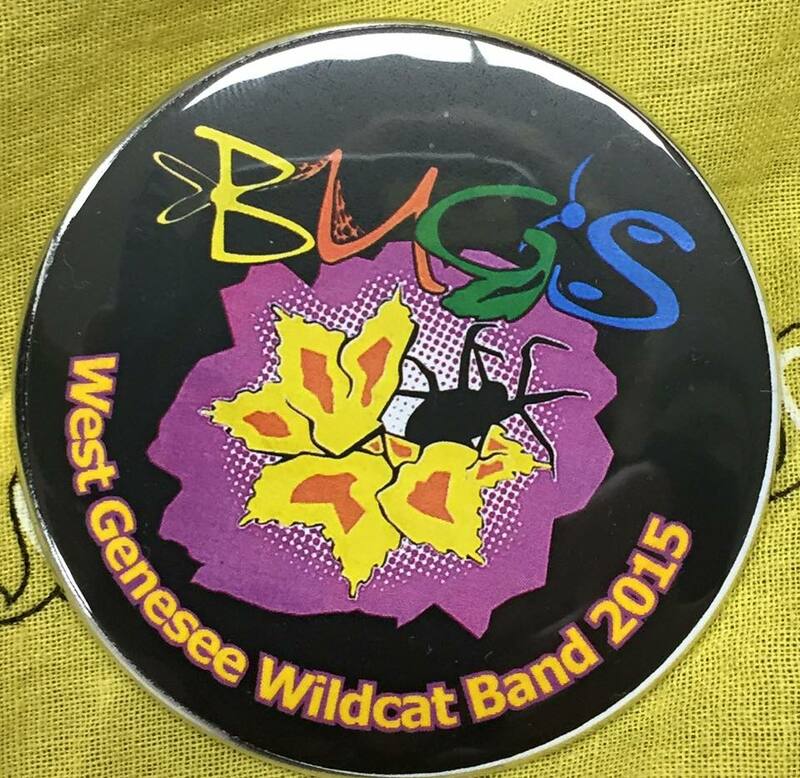 Our marching band knows how much work it takes to even compete, let alone grab the top spot. Planning for next season started today. 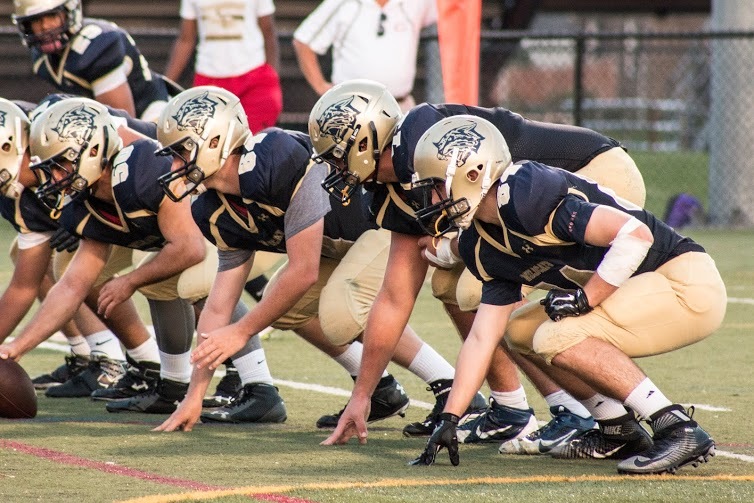 Fall Athletes are Still Competing: We do have fall athletes still in competition. Cross Country still has about 20 runners still competing as they have not had their Sectionals yet. That will be held next weekend at Vernon Verona Sherrill High School. Fall Cheerleading is also still competing and will have their Sectional competition next weekend at South Jefferson High School. Girls Swimming/Diving are also still competing and have Sectionals coming up at the end of the week at Nottingham High School. Girls Volleyball begins their Sectionals on Tuesday. Stay tuned for winter sports; they start in about a week if you can believe it! Celebrating Students of the Year: The Camillus Optimists will be recognizing four middle school and two high school students as "Students of the Year" on November 10. Being recognized this year are: Kamel Awayda and Colleen Augello from the high school; Ty Lisi and Analise Castro from Camillus Middle School; and Maxsim Mekker and Lily Wegerski from West Genesee Middle School. They are all wonderful kids. Congratulations to them, their parents, their families, and to anyone reading this who had a hand in their growth! Enjoy the week. It is supposed to be warm, so soak it in before it is time to start wearing four layers! Celebrating a Playground: Another week is in the books. We have had a great school year so far. Last week was busy. About three hundred people came to the closing ceremony for the East Hill Elementary School playground. It was nice to see so many generations of people, some traveling from out of state, join us for the ceremony. Click here to read an article about the event that includes a video of the ceremony, the video from when the playground was opened in 1989, and many really good pictures. Site preparation for the new playground should begin on or about November 7. The new playground will be installed in the spring. 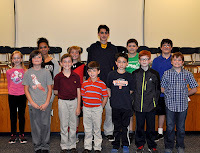 Honoring our Teachers and Students of the Year: Each year the Camillus Optimists Club sponsors a Teachers and Students of the Year recognition program and dinner. This recognition is highly regarded for our teachers because the honorees are selected by their peers. This year the winners are Lisa Long (foreign language teacher at West Genesee High School), Susan Mills (foreign language teacher at West Genesee Middle School), and Kristin Hudson (Kindergarten teacher at Onondaga Road Elementary School). Once we have the student names, we will share those as well. The recognition dinner will take place at Gillfillan's West Hill Country Club on November 10. Congratulations to all honorees! 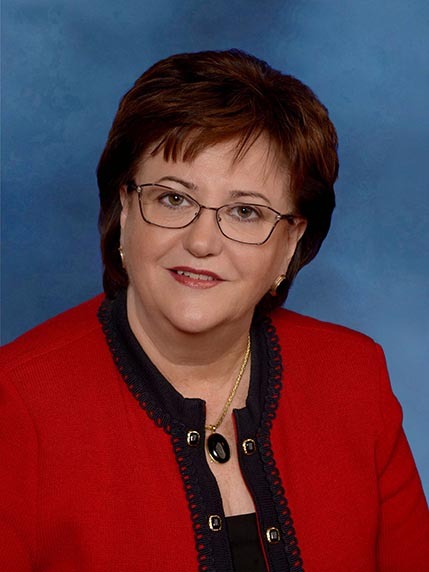 State Education Department is Looking for Feedback: MaryEllen Elia, the NYS Commissioner of Education, was in town last week on a listening tour. She met with superintendents and board of education members last Thursday and with teachers, parents, and administrators last Friday at the BOCES offices in Auburn, New York. Along with her listening tour is a survey that is open to all (http://www.nysed.gov/aimhighny) regarding the impact of the Common Core Learning Standards on New York State education. If you are interested, please take the time to complete the survey. Only a week away from turning the clocks back! Snow in CNY in October? Many of you said the "S" word over the weekend and that is okay. Snow happens in central New York. Luckily it was just a quick dusting and a blast of cold air. It was enough for me to find the hat, gloves, winter coat, and snow brush. Now if the weather holds true for Syracuse, I will be "too hot and too cold" over the next three weeks before we really get a season change. I will take it considering the alternatives that are out there. Walking the Line with New Education Commissioner: Johnny Cash wrote a song called "Walk the Line". The lyrics describe how he is hopeful that a person in his life would be trustworthy, dedicated, and loyal. In return, Mr. Cash would be willing to help "turn the tide". This is where I am at with our new NYS Commissioner of Education, MaryEllen Elia. She is involving teachers in the writing of this years' 3-8 NYS assessments (twelve of our teachers are participating). 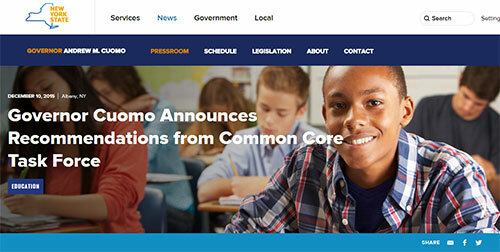 She is on the Governor's commission to study the Common Core Learning Standards. She has started her own focused review which will include a survey that ALL New Yorkers can participate in. She has reorganized her top staff so that schools are getting quicker responses to questions and communication.. When will I "Walk the Line"? If this continues through next spring, I will begin to have hope that the dark days of New York State education are slowly giving way to a new dawn. We will see. 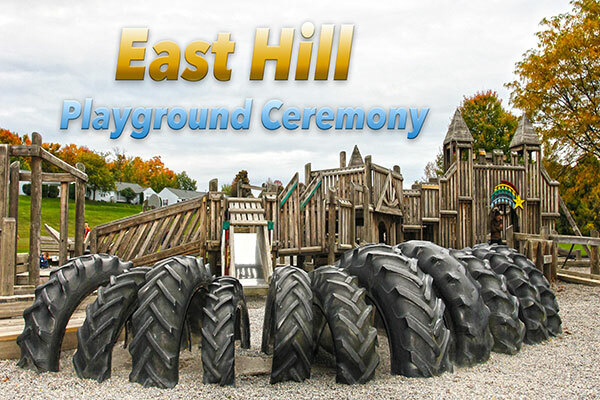 Celebrating a Playground: This Tuesday at 6:00 p.m. will be the closing ceremony for the East Hill Elementary School playground. Some things have changed since our original communication that is important for you to know. First, the event will be held outside next to the playground. Why? Two reasons. First, the playground was opened outside in 1989; and secondly, many people I have connected with have not seen the playground since the early 1990's. You will have an opportunity to get some pictures and a last look at the playground before we begin construction on the new one. In 1989, Friendly's had a shake wagon available. They no longer have these, so we have asked another long time community partner, Cam's Pizzeria, to provide their mobile food truck. They are more than happy to help. Sunset will be around 6:35 p.m. that evening and that will give us plenty of time for the event. Please dress for the weather that day. Second, during our historical research we discovered that the original time capsule was unfortunately crushed and broken about ten years ago when the bridge on the playground broke and all of the contents were ruined by water. While we will not have any time capsule to open, we will certainly have a fitting ceremony for a great community fixture. We hope to see you there. I will be there by 5:30 p.m. if you would like to come a little early to really take a look at the playground before the ceremony which will promptly begin at 6:00 p.m.
Four sixteen hour days in a row this week with hopefully a regular Friday. Are you ready? Bring it on. Enjoy the week! Homecoming Pep Rally and Football Game: It was a chilly night, but a night full of Wildcat pride for our homecoming festivities. Our football team is working really hard to compete this season but fell short in the cold, crisp air. The score was somewhat lopsided; so I would argue that while the team lost the game, they certainly won a valuable life lesson. They kept their heads up, played to the end, and knew that if the tables were turned that they would have won the game with dignity. This is why our athletic programs continue to be recognized for their sportsmanship, academics, AND on the field success. I am very proud of them. 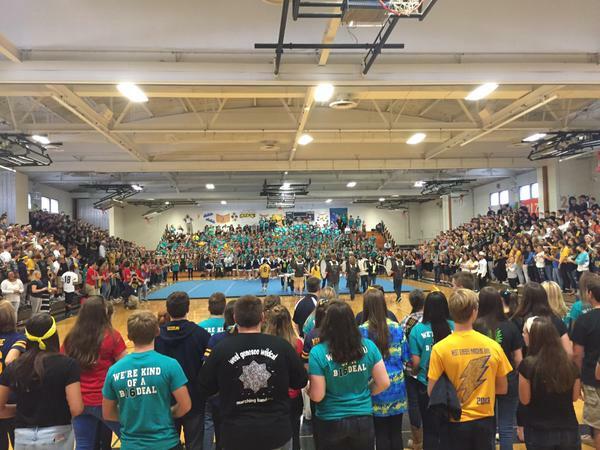 Earlier in the day our high school students were treated with another great pep assembly. The pep rally is always stressful for our administrators because we have over 1,700 people in one space and they are all excited. 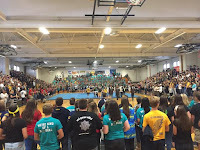 The student skits and the organization from the advisers were both top notch once again. Homecoming is one of my favorite times of the year, and I am already looking forward to next year! The Band Marches On: The Marching Band continues to find out what they are all about both in their performance and as people. The strength of a unit is known sometimes when the chips are down, rather than when everything is going well. Don’t count them out. Music and Football Meet Up in Nashville: The other cool thing from the weekend was that I got to hop on a plane and go to Nashville, Tennessee to soak in the music but also attend the Tennessee Titans/Buffalo Bills football game. Music is a hobby of mine and there is no lack of talented musicians in Nashville. The city was welcoming, clean, and alive. The music history is deep. There are some great museums and art as well. The Bills game was the icing on the cake, and they actually won which made for a LOT of happy traveling fans in the streets! I will definitely return there some day! This week is full of building visits, construction planning, and…snowflakes? People close to me know that I do NOT like surprises. This probably makes me a boring, predictable person, but it is good for business. An exception was made over the weekend when my wife and I were surprised by a visit home from our oldest son. We then attended our youngest son's college cross country meet for the first time AND we surprised HIM by bringing his dog. Surprises are not all bad I guess! Student is Generous: West Genesee Middle School eighth grader, Erin Byrne, surprised the community with her generosity. She took $200 she raised collecting cans and bottles this summer and bought 60 tickets for the annual Joseph's House car raffle. As Erin wasn't technically old enough to win the prize, she wrote her last name down on the tickets and her family agreed that Erin would decide what to do with any winnings. She has been volunteering at Joseph's House with her mother every Thursday, and if she won they had decided to donate the car to Joseph's House. We congratulate Erin's parents for raising such a selfless child, and Erin herself for representing herself, her family, and our community in such a positive way. 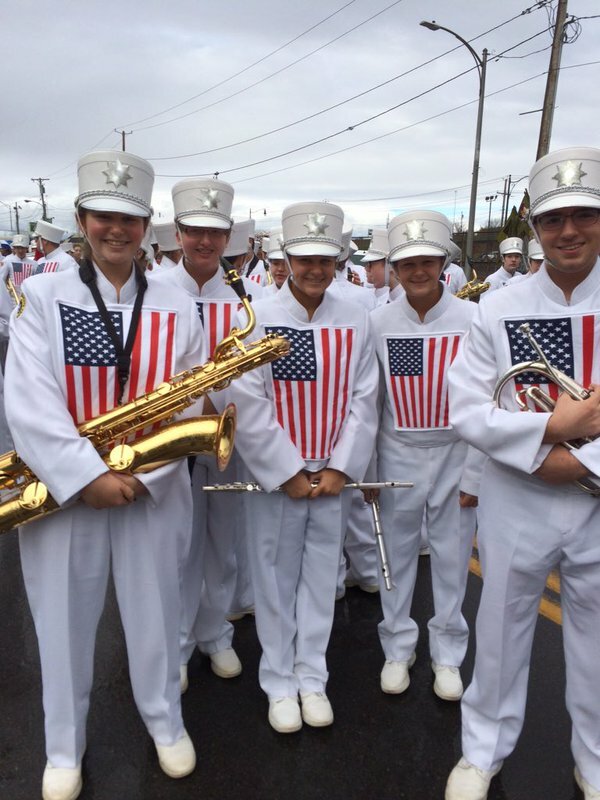 Weekend Events: The weather held out for the Tournament of Bands and the Sports Boosters golf tournament. Both are significant fund raisers for the fine arts and athletic departments respectfully, but more importantly both events bring the community together for our students. 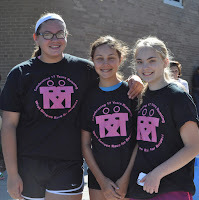 Thank you to all of the volunteers and organizers! Students Learn about Government Participation: This week I will be visiting with all Participation in Government classes. Participation in Government is a course taken by seniors (my own senior class in 1989 was the first class to have to take "P.I.G") that helps to give students a last and hopefully lasting framework about the status of current issues in government. I have spoken to Participation in Government classes since 2000, and each year I have spoken about school government, issues facing students, and have then taken questions from students about any topic. I would not pass up these experiences for anything and you might imagine that I have heard a variety of things over the years! 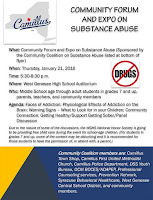 Community Coalition Addressing Drugs: You might remember from last year that we started a community coalition to help educate community members about the dangers of drug use, addiction, and the resources that are available. 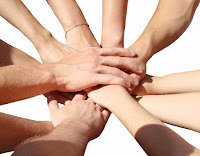 Our coalition has members from school, local, state, and federal government, business, law enforcement, nearly every clinical organization, parents, and students. Right now the focus of the coalition is on heroin abuse and addiction. 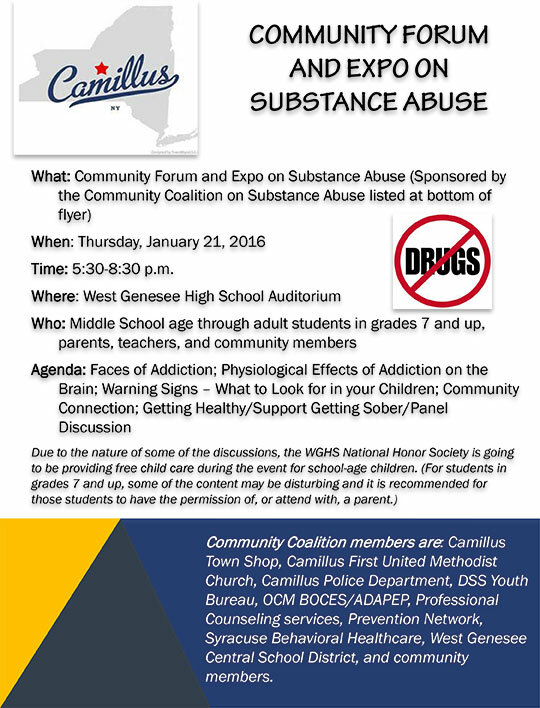 While other topics are dominating the headlines, our community (and every other) is being impacted by heroin. Like many drugs, heroin has no typical user and overdoses are becoming more commonplace. Our emergency officials have saved many people from overdoses with a drug called Narcan, but that is not the long term solution. My fear as a coalition member is that heroin will make its way into our schools (recent statistics show heroin use to be most prevalent in people ages 18-26). 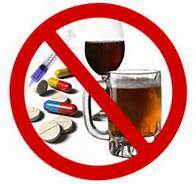 Heroin is cheaper and easier to get than alcohol or marijuana and addiction comes quickly. We are preparing a larger community forum to be held in January 2016 with some of our members who are experts in the field. There will also be smaller "Town Hall" type meetings leading up to the larger forum. Thanks for reading and for your support. Have a great week! Race for Respect Means Fall is Here: I am beginning to wonder if all of this nice fall weather is payback for the awful winter we had. Each day seems to be nicer than the last! Certainly the "real" fall will arrive, but it was nice to have a slice of summer greet us for the 17th Annual Race for Respect that was held at the high school yesterday. It was a nice turnout, and I would like to thank all of the event organizers for making the race successful once again. 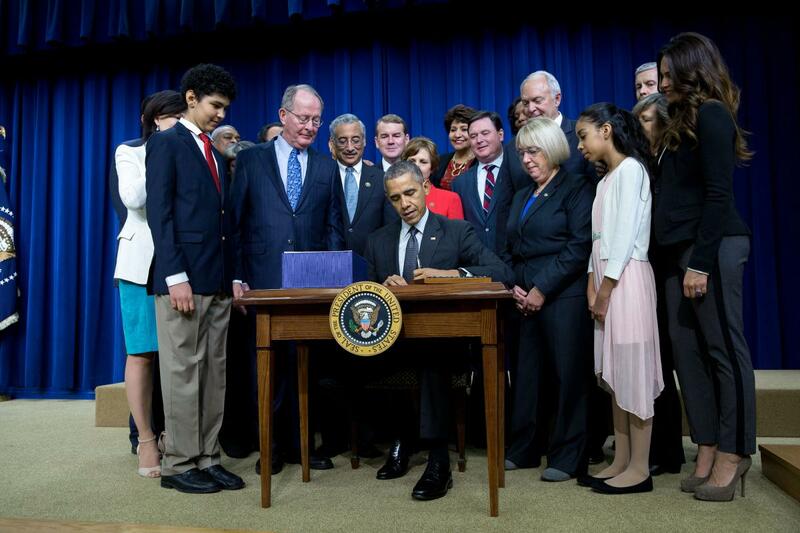 To view a short video of the event, just click here. Next Weekend Will be Busy: I am hopeful that the weather will hold out at least one more weekend. 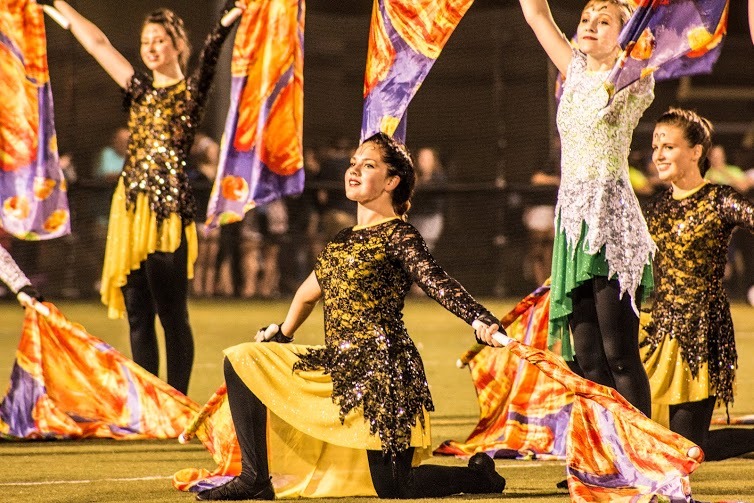 The largest fundraisers for both the Marching Band and the Athletics programs are going to be held next weekend. 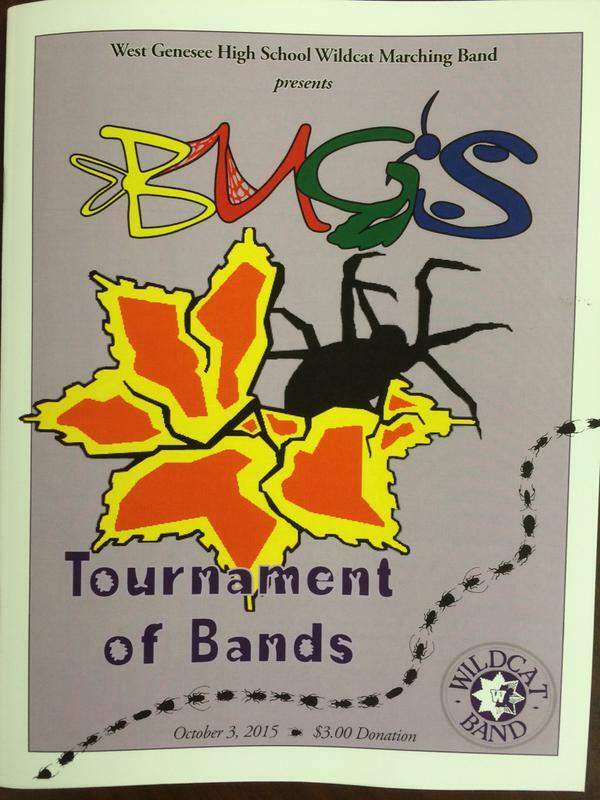 The Tournament of Bands will be held next Saturday, October 3 followed by the Sports Boosters Annual Golf Tournament on Sunday, October 4. 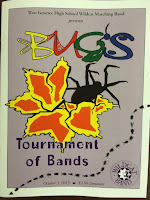 We usually "sell out" the turf field for the Tournament of Bands. I look forward to visiting with people from both near and far on Saturday and then playing golf for a good cause with a couple of Board of Education members on Sunday. 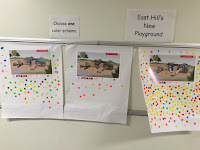 Closing Out an Era of the East Hill Playground: As some of you might remember, part of the Capital Project involves replacing the current wooden castle playground at East Hill Elementary School and replacing it with a more modern and compliant playground called a Playscape. 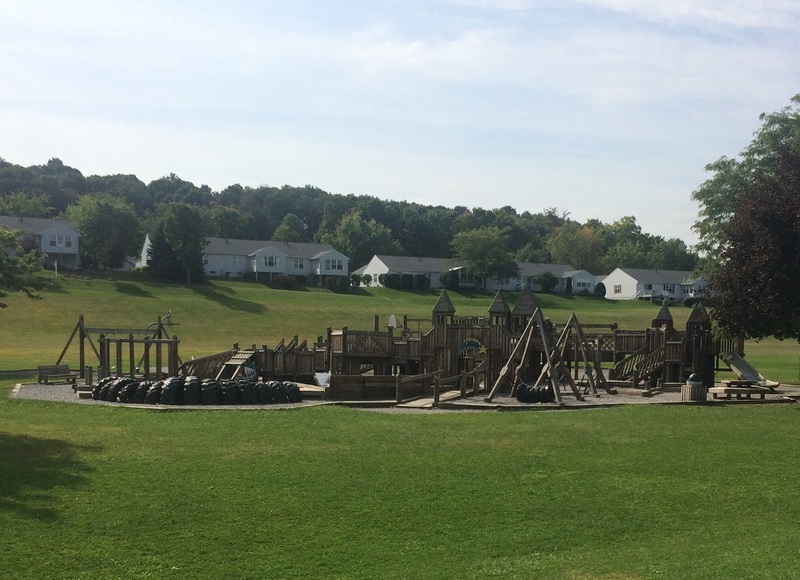 The current playground was built by the hands of many volunteers in the late 1980's under the direction of head volunteers Jane Goot and Mary Anne Clark. Unfortunately, the playground has reached the end of its usable life. On October 20, at 6:00 p.m. in the East Hill Gymnasium, we will be holding a closing ceremony for the existing playground. 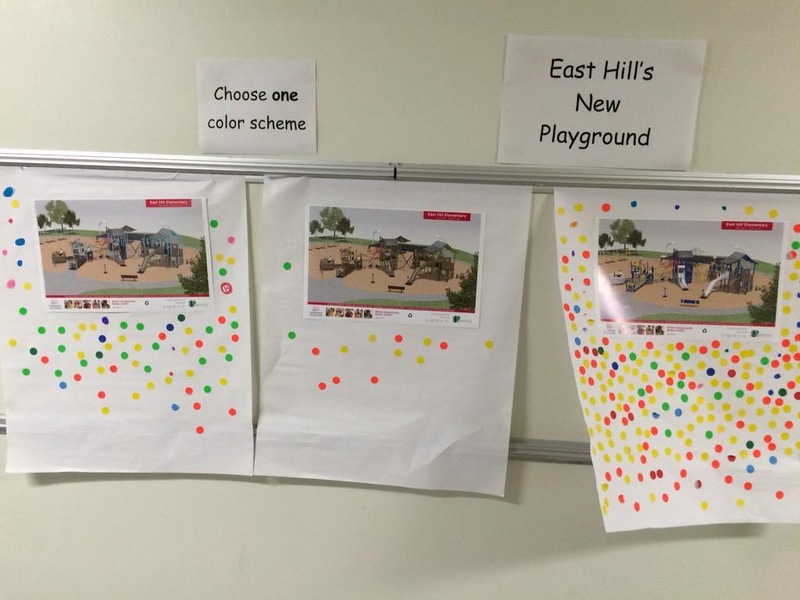 We will also get a glimpse of the new Playscape (and basketball court and walking path) that was voted on by current East Hill students. Part of the ceremony will be to recognize anyone who might have worked on installing the playground. We are also going to dig up and open a time capsule that was placed in the ground when the current playground was officially opened in 1989. There will be a new time capsule placed once we open the new playground. All are welcome to attend and if you cannot, we will be filming the ceremony and also streaming it on Periscope, the popular social media application. I have been specifically asked why the current playground needs to be replaced. The short list would include that the current playground is not compliant with the Americans with Disabilities Act, the wood is treated with a popular chemical from the 1980's that is now banned by the Environmental Protection Agency, the wood is beginning to unsafely sliver, and the wood is bending causing nails and screws to be exposed, along with bees nests. The playground has been recommended to be closed by a third party inspector twice in the past five years. We have been able to keep it open during the Capital Project because it is slated for replacement. We have, however, had several significant portions of the playground closed for some time. People are asking if they can purchase or take parts of the existing playground (or the whole thing) before it is demolished in early November. Good question. We are awaiting a legal opinion on that topic due to the chemicals in the treated wood. If we can, we will accept bids and the highest bidders will be able to come one weekend day (to be determined) to remove their winnings. Celebrating a Veteran Teacher: Many of you have been asking about services or memorials for our veteran teacher, Jo Ann Macaluso, who passed away recently. 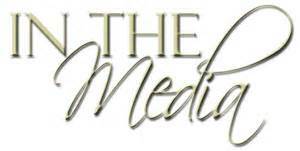 A memorial mass is planned at Holy Family Church for this Thursday at 5:00 p.m. I think we are slated for a couple more nice days of weather, so I hope you can enjoy them. Thank you for your support and have a great week! Good News: Pictured with me is senior Christian Holcomb. Christian is also a lifeguard who received his training and certification from Mrs. Carrie Butler, one of our Physical Education teachers. One day recently he was with his mom at a local restaurant and noticed a mother who was becoming frantic because her baby was choking on food. The baby had been choking long enough that he had stopped crying and was beginning to change color. Christian told the mom to hand the baby to him. He turned the baby over, stopped him from choking, and removed the piece of food from his mouth. He handed the baby back to the mother as emergency crews arrived. He and his friends continued on with their own meal. The family he helped did not speak good English, and Christian actually never spoke to them again. What makes the story more remarkable is that Christian did not tell me about what he did. The story came from others. When I met with him he asked if we really had to feature him because he did not want it to look like he was seeking attention. I featured Christian because he deserves it. In a world of negativity, stories like this one continue to give us hope that there are still good things happening around us. If you see Christian, please give him a pat on the back; not because he wants it, because he DESERVES it. 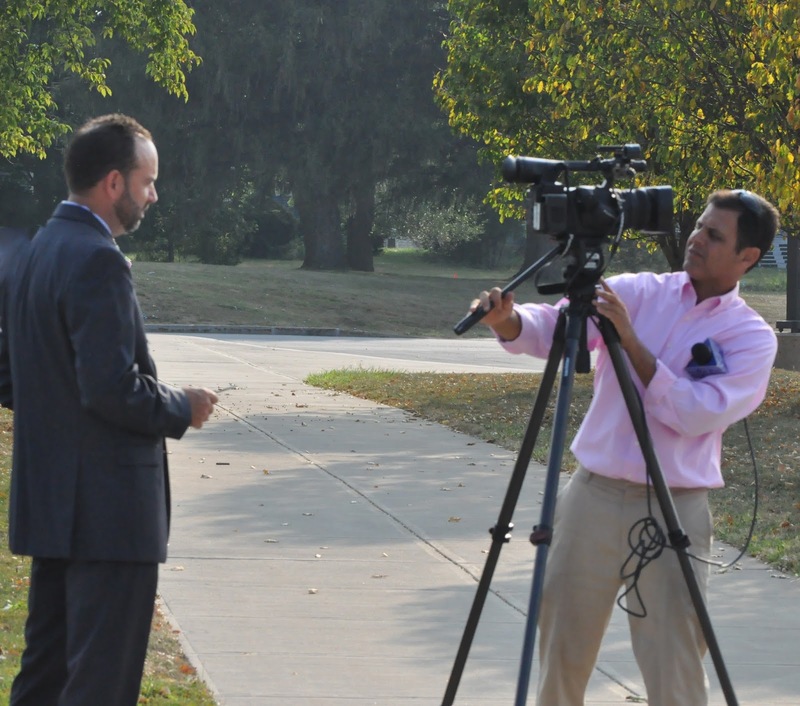 In the Media: West Genesee is featured in the media A LOT! Some people think that we are attention hounds and cannot go a week without seeing ourselves in the paper or on television. That cannot be further from the truth. I have been teaching graduate courses in educational administration since 2006. For the leadership courses, I always talk about what it takes to be a successful leader. The recipe for success that I have always used and believe in is to establish trust within the organization and the community and then work each and every day to keep that trust. Part of trust building is always telling the truth, always being transparent, having and communicating a clear vision, celebrating success, learning from shortcomings, and ALWAYS being genuine. Sounds easy right? If you want to call yourself a leader, it should be. I have been very fortunate that both Districts I have led have been very successful. The downside of success sometimes is that people are looking for those cracks in the armor. The media (who I respect and work with very happily), cover what viewers are going to watch or read. Our transparency causes the media to pick up on stories, both positive and negative, at a higher rate than others. I do not have a problem with that because I know if a community member sees a positive story or a negative story about our District, they know there is nothing else that we are hiding from them. The result is a community that helps us celebrate the successes that they hear about, and they understand that while a situation might be challenging, we have control of it and will be okay. They can go on with their lives. There are no rumors, no "wondering when/if a story will break". You would not believe the energy I can then spend on the more important things. This formula has worked, does work, and will continue to work. As we finish up open houses this week, I again want to thank you for your support. Our attendance thus far by parents has been over the top, and we absolutely would not want it any other way! It is with great sadness that I write to let you know about the passing of West Genesee Middle School teacher JoAnn Macaluso. 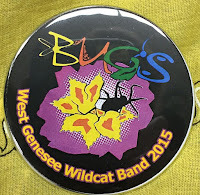 Miss Macaluso has worked for the West Genesee Central School District for forty-eight years. She did her student teaching in the District, spent many years at Onondaga Road Elementary, and has been at West Genesee Middle School since. She was an incredible role model for thousands of students over the course of her career. The profession never passed her by. She embraced change, faced challenges head on, and always had a thirst for learning. She absolutely loved watching students grow and learn. She will be dearly missed by our entire community. As you talk among yourselves and with your children about this loss, please be confident that we will have an adequate amount of support for our students and staff should they need it. 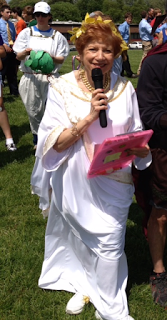 The focus from our staff will be to remember all of the positive things that Miss Macaluso brought to our community. She would want us to be strong during this time, and we will absolutely honor that in her memory. I wish I had better news to share, but it is my job to inform you that one of our bus drivers, Zach Madonna, was arrested for first-degree attempted dissemination of indecent material to a minor, a felony; as well as endangering the welfare of a child, a misdemeanor. We currently have no reason to believe that this activity involved West Genesee students, but this type of conduct is not acceptable in any way. We are pursuing the matter to the full extent that the law will allow. If anyone has any information about this case that you feel will benefit the investigation, please contact me at 315-487-4562 or the Criminal Investigations Department at the Onondaga County Sherriff’s Office at 315-435-3081. It is unfortunate when these events occur, but I feel as the Superintendent of Schools you as parents and community members are entitled to the facts as soon as we are aware of them; especially when a case involves an employee of the District. A letter outlining all of the information above will be sent home with students today. 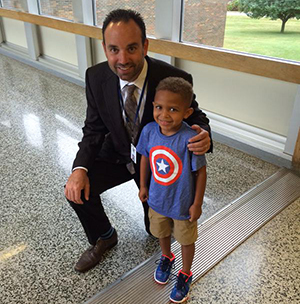 A Great Opening Week of School: The students and staff were excited to be back and it was fun for me to get to meet the class of 2028. We had a couple of bus delays and a few gremlins in the new phone system, but I consider the week a huge success. A Winning Weekend: Over the weekend my favorite college and NFL teams (Syracuse Orange and Buffalo Bills) won, and our Marching Band had its first victory as well. I am trying to remember the last time both of my favorite teams won on the same weekend! Open Houses/Curriculum Nights: Last week, and over the next two weeks, are our open houses/curriculum nights. 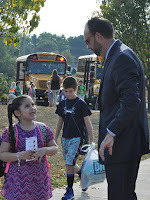 On opening day with the staff, I stressed the importance of making connections with students and families. Open houses/curriculum nights give our staff and you as parents a great opportunity to meet face-to-face and establish a good communication flow. I appreciate your patience with parking and crowds during these times. Most of our open houses and curriculum nights have near 100% attendance, which is a good thing. Your commitment to the success of your children is as important as any other part of their educational journeys. This week we really start to buckle down and establish how the rest of the school year will operate. In my next blog I will give you a complete update of our Capital Project, including milestones for when some of the larger pieces will be complete. Thanks for your support and enjoy the week. Many of us in education chose this profession to help children to become adults, and to teach them a thing or two along the way. This opening day was as exciting as my first opening day; it simply never gets old. Summertime is great, but it is lonely without the students around. I begin to feel like a grumpy old man dealing with "big people problems". As soon as the students step off of the buses, the big people problems go away, and I instantly feel about twenty years younger. As tough as it is as parents to watch our children drive away in the big yellow bus, or close the car door and run up to the school, can you put yourself back into their shoes and imagine how they really feel? I would love to ask an astronaut how they felt the first time they exited the earth's atmosphere, because I bet that a kindergartner stepping off of the bus for the first time must feel the same way. A new environment, decisions to make that they have never had to make before, and experiencing feelings that they were only told they would feel. Bravely, they make their way to their classrooms. 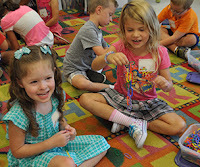 They share glue sticks, playthings and learn to listen and to raise their hands if they have a question. By the second or third day it is as if they had been there all year. It is truly an amazing thing to watch, and the raw emotion that you see from our youngest students has not changed in twenty years. At that age kids really are, well, kids! On the flip side, I want to take an opportunity to wish our recent graduates well, either in college, the workforce, or the military. 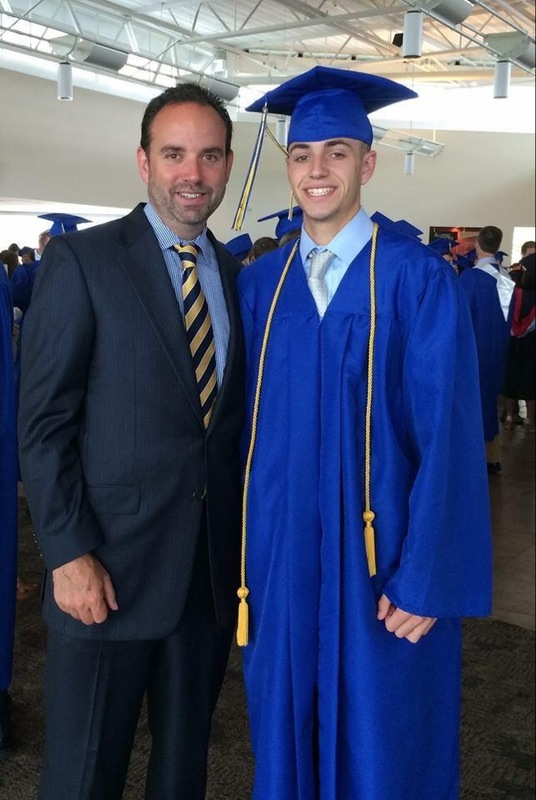 I was exceptionally close to our most recent graduates because my son was one of them, and I think the hardest thing for them to realize is that any reputation they had, good or bad, is now gone; it is up to them to forge their way. They too are brave. What was expected of them by us goes out the window, and what they expect of themselves takes over. That can be scary for students who were coddled maybe a little too much growing up. It has been very interesting to watch this group free fall, collect, scatter, and land on their collective feet. There are many success stories and "high school underdog to adult champion" stories in the making. Enjoy! 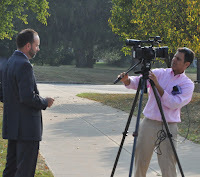 It was a great opening day, and I look forward to sharing stories of our first week when I write again.